The House of Representatives caucus of the All Progressives congress (APC) yesterday supported moves to introduce direct primary in the selection of candidates for various elective positions in the 2019 general elections. Led by Femi Gbajabiamila, the House caucus, which met with the Adams Oshiomhole-led National Working Committee (NWC) in Abuja, argued that the arrangement would strengthen the party nationwide. A member of the caucus, Raphael Nnana Igbokwe, who spoke with reporters after the parley, argued that direct primary would afford card-carrying members the opportunity to pick the most popular candidates. Commending the NWC for the initiative, he said it was used in the recently held Osun State governorship primary and last weekend’s Bauchi State senatorial by-election primary, adding that it would check the influence of godfathers and moneybags in the party. 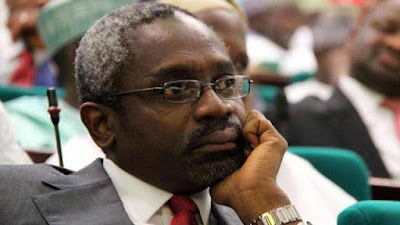 Gbajabiamila, who supported Igbokwe’s position, however, faulted the notion that the APC would give automatic tickets to candidates for them to remain in the party. At the beginning of the meeting with Oshiomhole, he had claimed that those who defected from the party were lured with financial inducements and promises of automatic tickets, insisting that giving automatic tickets ran contrary to democratic tenets. However, Speaker of the House, Yakubu Dogara, was absent at the parley that lasted about two hours, but Gbajabiamila explained that his (Dogara’s) failure to attend the meeting, which he claimed was convened at short notice, may have been due to his tight schedule. Oshiomhole, who restated his desire to sustain direct primary as a means of repositioning the party, practically ruled out the possibility of giving automatic tickets to those who have defected from the APC. “For me, we are clear that every legislator who has value and is at home with his people and not with the godfathers in their communities, is an asset to our party and we will do everything possible to retain them,” he stated.